Faithfulness has two different meanings. If we mean the faithfulness of God or Jesus, it refers to steadfastness, honesty, firmness, and God’s utter dependability based on His unchanging character. If we mean human faithfulness, it refers to our steady allegiance to God and our trust in Him. A “faithful” man is “full of faith”; he believes in the reality of God as revealed in Scripture. If we are full of faithfulness, we believe God; we trust that He always has our best interests at heart. We trust that we are ultimately safe. We believe that He loves us (John 3:16); He wants to be with us (John 14:2); He is powerful enough to save us (John 14:6); and He is working in us (Philippians 1:6). And we live with the confidence that we will receive God’s promised blessings, even if we never see them in this lifetime. 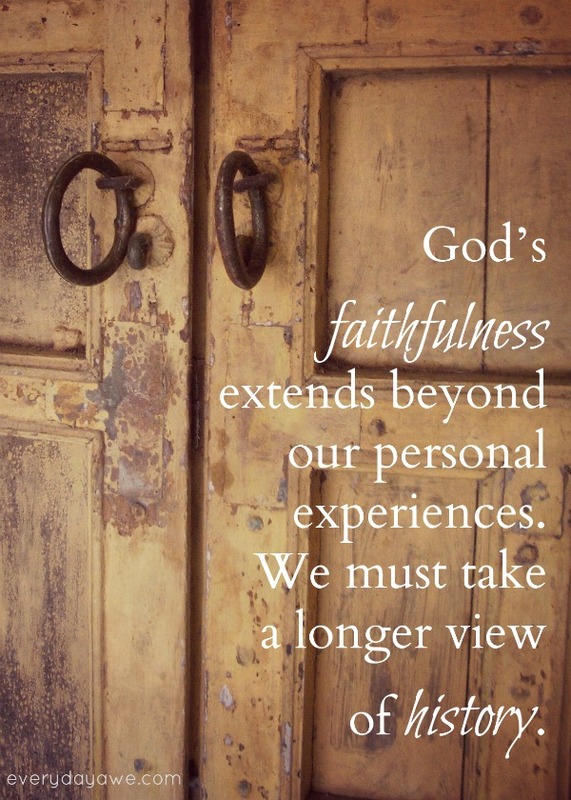 Faithfulness is necessary when God’s promises seem to completely contradict what we see. When God’s ways are hidden from us (Isaiah 45:15), when evil strikes, when hardships come one right after another—that’s when we need the Spirit to produce His fruit of faithfulness in us. Faith is the opponent of fear. Faith protects us from fear, and fear erodes faith. Ephesians 6:13-17 lists the armor of God. Faith, “in addition to all,” is the shield. If our shield of faith is strong enough to put out all the flaming arrows of the enemy, we are spiritually invulnerable. This entry was posted in Faith, Inspiration, Uncategorized and tagged Faith, faithfulness, fruit of the spirit, my utmost for his highest. Bookmark the permalink. It is in placing our trust in Him that our load is lightened. Dad and I know that for a fact.